As pro-defense MP’s enter parliament and assume roles in David Cameron’s new administration, backbench Tories are already urging a sharp increase in military spending and voicing their opposition to defense cuts. Senior figures are warning backbenchers may scupper key legislation unless Cameron does enough to appease their calls for increased defense spending to meet the symbolic two percent of gross domestic product (GDP) required by NATO member states. Two MP’s have already spoken out against further cuts to defense ahead of Cameron’s first meeting with the influential 1922 Committee since being re-elected. The private committee is composed solely of Tories and used as a forum in which backbenchers can coordinate their activities. Sir Gerald Howarth, formerly a defense minister, told the Telegraph: “There can be now no excuse because we are not in any way beholden to the Liberals." Peter Bone MP told the paper: “I would be very, very surprised if we did not maintain at least two percent in line with NATO’s requirement. That would be extraordinary. Earlier this year the debate on defense spending drew in a wide range of senior political and military figures. Many pointed to the supposedly heightened threats posed by Russia and the Islamic State in Iraq and Syria as a reason to halt or even reverse austerity measures which affect the military. The new parliament welcomes a number of fresh faces, many elevated to the cabinet or even touted as potential top-tier leadership figures, whose experience of defense could shape both debate and policy. One of those is former Navy reserve officer Penny Mordaunt, who, while never experiencing active war service, is an outspoken advocate of the armed forces – a tendency which she is likely to continue in her new role as armed forces minister. Elected for the first time is former army officer Tom Tugendhat, who served in Iraq and Afghanistan, and is co-author of the right-wing Policy Exchange think tank’s controversial ‘Clearing the Fog of Law’ report. The report argues that the use of European human rights legislation to govern the conduct of warfare amounts has, in effect, been ‘arming the enemy’ against Britain. While his views will be rejected in some quarters, both his service and opinions on litigation against the military – such as in the recent Al Sweady case – are likely to prove influential among hawks in the Commons. The center-left is not without militarist voices itself, however. 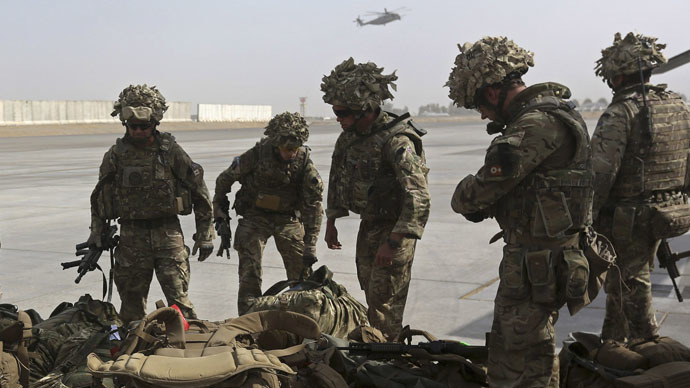 While former Parachute Regiment Major and Afghanistan veteran Dan Jarvis has said he will not run for Labour leadership, he is popular in the party and in parliament and led a recent Daily Mirror poll for the job. Were he to head the opposition, it seems unlikely the leading parties would disagree vastly on issues of war and security – including military spending. These figures and others besides could all come to influence the debate on the UK’s defense needs, military spending and foreign policy in the coming years.